love story of a girl with a dream and a boy with perfection. She was a girl full of dreams , he was a man of perfection. She was on one side love for years and closed herself in a box for the same, he had his bad experiences of love thus closed himself in box for the same. Once they decided they need to give them-self chance and should move them self out of their boxes, Destiny was watching them and planed their weird meet. They came in contact, share their loneliness, share their pain, share their laughter, made each other alive. Then one day boy asked girl not to leave him ever, girl felt Aww and thought till now every one has left her on her own but he is asking means he will never leave her and decided that day, that will do anything for this guy so that she never need to leave him nor he to her. Then one other day boy said he is falling for her, girl was confused not sure , but after giving a lot thought she decided and confesed her feelings too. 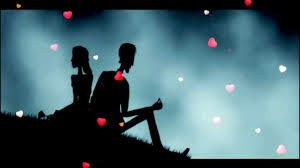 Love in the air started, beauty of life started touching both, promises were made, dreams were seen. In the era of electronic world without meeting actually, they were living a actual life with each other, totally dependent on each other, life was looking beautiful for both. Then one again boy decided something he decided to take next step , he decided to travel all the distances and take the girl along with him with all respect, he ask her to to talk to her family and arrange their meet, this time girl who taken all decisions earlier agree for it without giving it a second thought. She has no questions for him she trusted him blindly but she sees boy having lots of questions for her so she kept asking him is he sure for the greater step to be taken. Boy assure her he has no doubt but if she has she can think. Girl too having no doubt but still thinking about the complicity of the relationship gave boy his freedom to leave whenever he wants. And now the girl took the step with all guts told her family what’s going in her life, father being bit conservative and over protective didn’t took very well what her daughter said to him , fight started in a family , ugly things started happening but girl kept fighting for her dream , she keep requesting him to meet the boy and then decide but decision was made in her father’s mind. Might be time would change them with this hope she kept her struggle on. The day came , boy came ,inspite of trying her best girl fail to make her father agree, yet she gave boy all her time, they spend the beautiful time together inspite of all the tension going around. But boy was perfectionist he can’t take the imperfection of her girl along. Before leaving he said they need to think as he can’t see hope from her father , but girl knew her Mr. Perfectionist has saw some ugly scar in her . she got moist eyes while whaving him bye for she came to know in her heart that it’s the final bye.. Sooner the day came when boy made his final decision that it’s better for them to get apart from each other, girl wonder where she failed the boy who asked her once never to leave him, how come he leaving her on her own again. But decision was made. And giving the boy what he wants once again she with all her heavy heart and all the strength she behold she said him good bye..
My strange relationship with Almighty and Gratitude for yet bestowing his blessings on me.